To discover more about the Firenock Arrow Preparation Systems, please click one of the icons below. 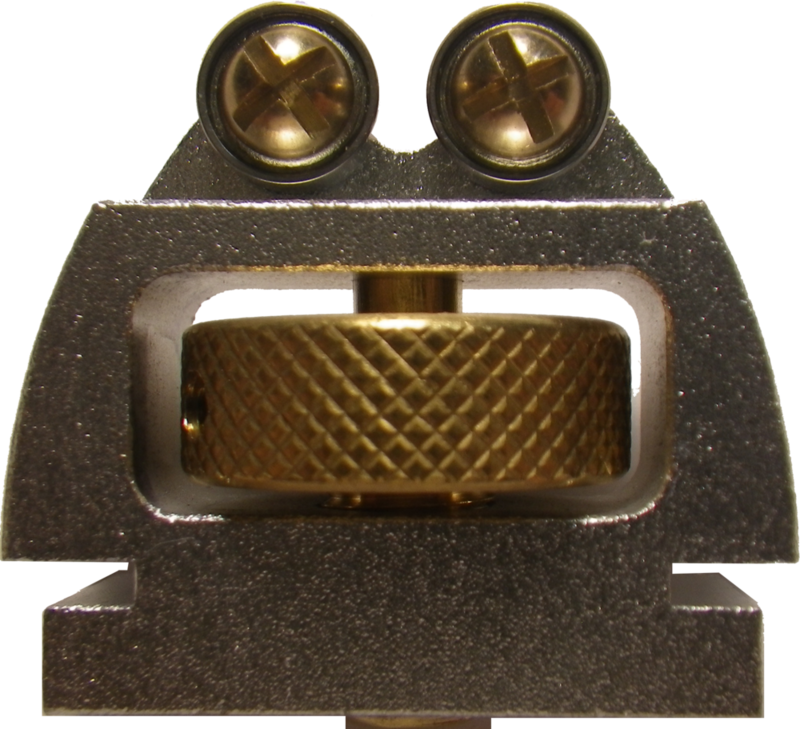 Firenock designed APS to resolve the imperfections and shortcomings of the various current arrow preparation tools on the market. Today, in order to consistently build reliable arrow shafts, there are several preparation procedures that one must complete before continuing to installation and assembly. Usually, these preparations procedures include the use of several difference tools at different times—a squaring tool for both sides of the arrow before and after fletching or a spinner to make sure your shaft is concentric, for example. With the Arrow Preparation System (APS), arrow shafts can be prepared in both a time efficient and space efficient manner. A 6-in-1 tool— nock end squaring tool,  insert end squaring tool,  fletched nock end squaring tool,  broad-head/field point spin checker,  outsert concentricity checker, and  general spin checker—APS is truly engineered with our customers in mind. We believe that, once you try APS, you will discover how essential a tool it is for precision arrow building. To guarantee that the APS can be used to square any length arrow or type of fletching, a unique track base system was developed. Involving up to four rollers, the system allows the user to change their position by simply loosening their lock screws, moving left or right, and locking them again. Made of a solid piece of aluminum that is hard-anodized for durability, the APS grinding block is different from any other arrow preparation tool because of its longevity. Recommended with the use of common 3M adhesive back sand paper (cut into 1” x1” squares), APS’s grinding surface is interchangeable. If the sand paper is worn out, just replace it and you have a fresh grinding surface again. There is no need to worry about the straightness of the block even after sticking and removing sand paper from the block repeatedly. 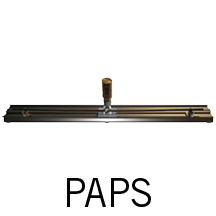 As of 2015, the crowned ball bearings initially designed for the PAPS (Professional Arrow Preparation System) have been adapted to suit the APS. The bearings (right above) provide a large surface to support the arrow and to allow smooth operation, even under high pressure. The large size of the crowned ball bearings also eliminate any lateral movement, especially while squaring. Sealed for durability and pre-fitted with mounting screws, these supports eliminate all play. Liscensed under Patent # 7013772. For those who purchased the APS before 2015 and still own one of the discontinued supports (left above), we highly recommend contacting us for replacement. Payment required. For those who wish to mount your APS to your work bench or table, the track base has an easily identifiable center line marking for your convenience. We recommend 150 grid or higher adhesive back sand paper for squaring carbon and 220 grid adhesive back sand paper for squaring any inserts and/or aluminum/carbon mix shafts/arrows. Also heed that due to the filing nature of some aluminum shafts, it is recommended to change the sand paper frequently. See the installation manual here. Due to requests for a support specifically for spinning arrows, we have designed the Super Spinner. With a diameter 400% larger than the original support, spin-checking has never been more easy. Let’s break down how. In physics, the radius of a circle, and therefore its circumference, is directly related to the distance it takes to spin one full cycle. Here, in the instance of an arrow versus our Super Spinners, due to the radius of the Super Spinners being, on average, five times greater than that an arrow, they will spin once before your arrow spin five times. By literally making the bearings work less, Super Spinners allow you to take complete advantage of our unique bearings.